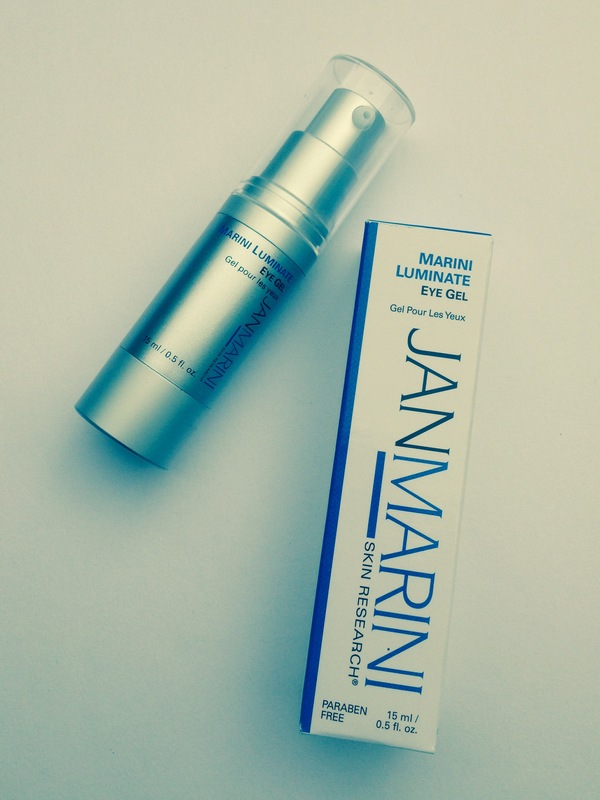 We first met the Jan Marini Luminate Eye Gel at the tail end of my 10 Best Eye Creams recommendations. It arrived just as I was finishing off that list, so I promised I’d be back when I’d had a chance to try it out further. Rejoice for that day is upon us! I’ve been using this eye gel for over a month now and I really like it a lot. Definitely one of the best of the (many) eye creams I’ve tried. 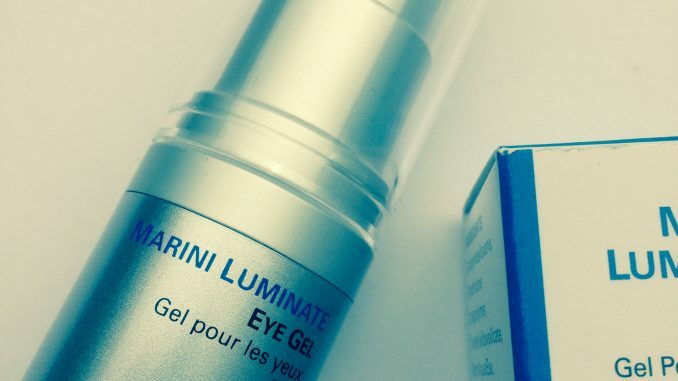 The exciting thing about this eye gel is that it contains retinol. Retinol is one of the derivatives of Vitamin A and an excellent skincare ingredient to watch out for. Check out this useful post at Lego & Louboutins if you want to find out more about how and why retinol is so good. Though retinol is an ingredient with proven anti-ageing capabilities, you don’t often find it in eye products. It’s generally considered too strong for the delicate eye area, so it needs expert handling to make it so. This is by no means the only eye cream containing retinol, but there aren’t many of them. And altogether, that lot promises to give you brighter, more radiant and luminous looking skin. 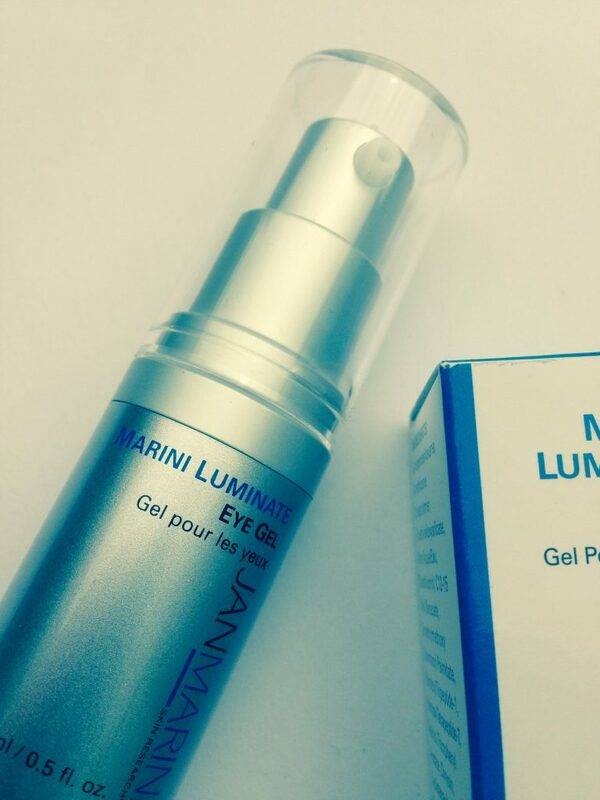 It aims to reduce the appearance of under eye circles, crepey skin and fine lines and wrinkles. I wouldn’t say my wrinkles are gone, but I do feel like they’re diminished and the skin is smoother after a month’s use. One other interesting ingredient is one that we’ve seen many times before in products that promise to smooth the skin – dimethicone. Dimethicone is a silicone you might know from the slippery feeling it gives to primers. It’s good for filling in fine lines and making wrinkles less obvious. As long as you’re not allergic to it (and many people are). The good thing about this combination of ingredients is that it will moisturise around the eye without leaving it damp. So your eye make up won’t rub off or transfer to your brow bone. I’ve had no appearance of milia (those tiny white bumps that can appear on the eyelid) while I’ve been using it. And it’s paraben free to boot. The only negative side effect I’ve noticed was a small dry patch to the side of one eye which lasted for around 3 days. This in itself isn’t unusual – use of retinol can often cause side effects while the skin is getting used to it. Retinol increases turnover of skin cells, so the top layer of your skin will be turning over at a faster rate. Dead skin cells can stay on skin’s surface and this is what causes dry patches. Treat with extra moisturiser rather than exfoliating and they will go. As side effects go, I didn’t mind this one, since the dry patch was gone within a few days and it proved to me that there was enough retinol in there to actually be doing something. By the way, if you’re using a product containing retinol then it’s essential to apply sun screen afterwards. All those newly-stimulated skin cells are more vulnerable to sun damage so they need protecting. This is why a lot of people use retinol-based products at night only. Packaging wise, this is an airtight silver pump designed to protect the active ingredients from the air. You only need a very small amount of the clear gel at a time, so although this is a reasonably spendy product, I would expect the 15ml to last for many months. Certainly if you’ve over 40 and looking for an eye product with extra pep to help with lines around the eyes, this is for you.